Spices tend to originate from tropical regions and usually have a stronger flavor than herbs. The use of Thai spices has grown over the years. Americans do like their food “spicy” — one study showed that Americans use 3.9 spices, on average, per recipe; by comparison, Norwegians use just 1.6. Using spices and herbs for health and medicinal purposes is nothing new. The ancient Egyptians used a variety of spices, including coriander, fennel, cumin, and garlic. The ancient Greeks and Romans used hundreds of herbs and spices, as documented by Hippocrates. Of course, back in ancient times, there were no medicines like the ones we have today. But as the saying goes, what goes around comes around — meaning that today, scientists are taking a closer look at what we use to season our food, and learning that those little jars and pots of herbs may actually have health and healing properties. 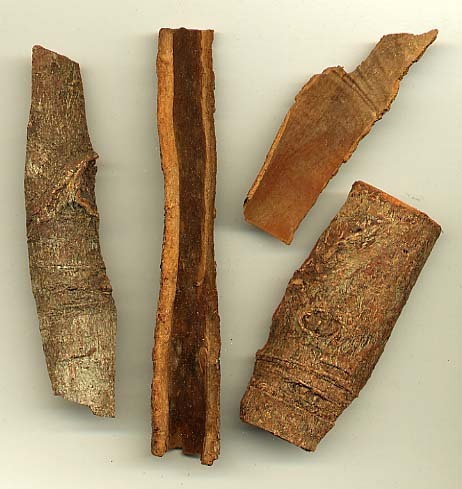 Cinnamon is one of the oldest known spices and a favorite of many to this day. This spice was used by ancient Egyptians for embalming, while people in North Africa, Asia, and Mexico used it for cooking. There are two main types of cinnamon: cassia (the kind most commonly used in this country) and Ceylon, which is more difficult to find. Cinnamon contains essential oils which are comprised of three substances: cinnamaldehyde, cinnamyl acetate, and cinnamyl alcohol. Here are a few ways in which cinnamon can be good for our health: Cinnamaldehyde has anti-inflammatory properties and can prevent platelets (a type of blood cell) from clumping together. Cinnamon also has antimicrobial properties, blocking the growth of bacteria, fungi, and yeast. Worried about an upcoming test? Want to stay sharp and alert? Sniff some cinnamon or chew cinnamon gum. Researchers have discovered that the smell of cinnamon helps boost memory and cognition, and they are hoping to learn how this tasty spice may play a role in preventing age-related cognitive decline. Cinnamon is a source of manganese, fiber, iron, and calcium — essential nutrients needed for bone and digestive health. The medics are still out on whether cinnamon can lower blood glucose; some studies indicate that it’s helpful (and may also lower lipids) while other studies have not found the same results. How to Add More Cinnamon to Your Diet Unless you dislike cinnamon, it’s pretty easy to fit this spice into your eating plan. It can be sprinkled on or mixed in to just about anything: hot and cold cereal, toast, bread or muffin batter, fruit, rice pudding… Other ways to try cinnamon include the following: Sprinkling it on sweet potatoes or winter squash Adding it while cooking lamb or pork chops Stirring it into hot chocolate to make “Mexican-style” hot chocolate Throwing a couple of cinnamon sticks into a mug of warm milk or soymilk How do you use cinnamon? More spices next article!